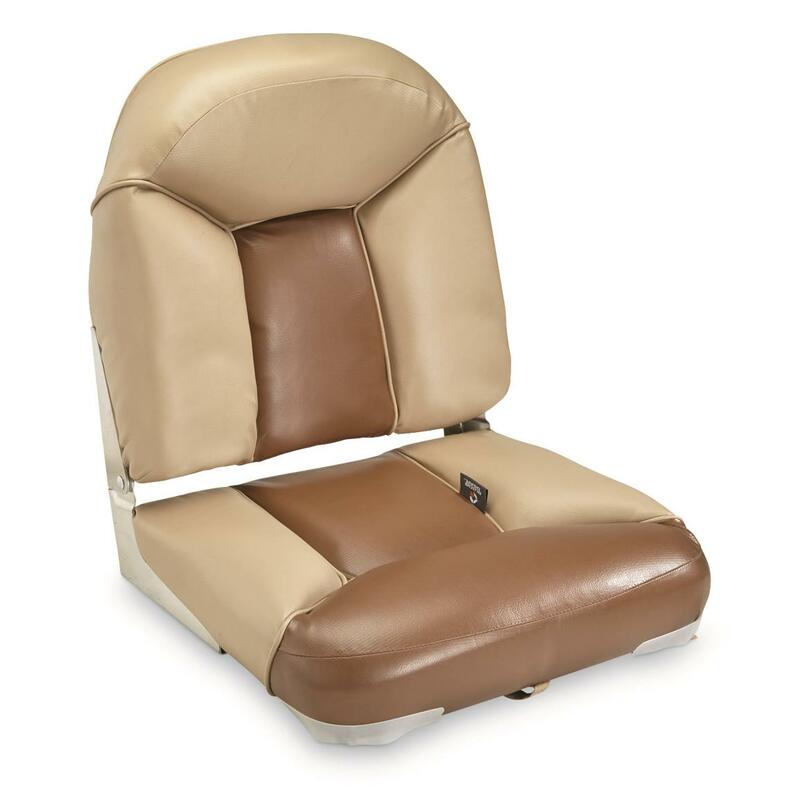 Add the extra comfort you need (and deserve) with a Guide Gear® Oversized Deluxe Boat Seat. High-impact polymer frame with UV-treated 600-denier vinyl covers thick, contoured compression foam to keep extended sitting at your favorite fishing or hunting spot a pleasure. 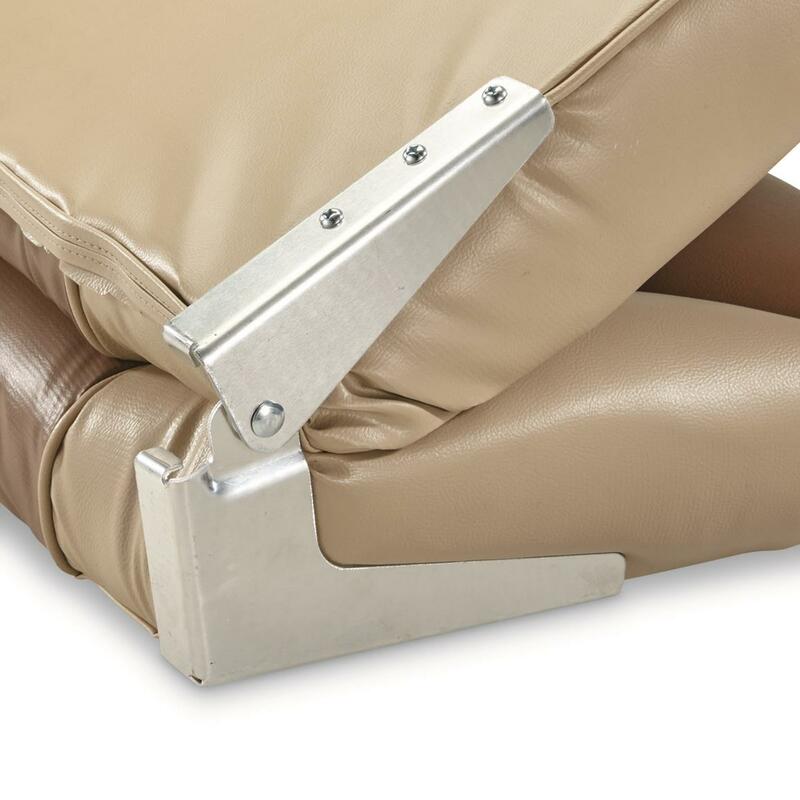 Fold down back with no-pinch aluminum hinges for a minimal profile when trailering and transporting. Now is the perfect time to repair and renew your boat, and Guide Gear® Boat Seats can help you do it for less. Guide Gear Oversized Deluxe Boat Seat is rated 5.0 out of 5 by 2. Rated 5 out of 5 by Scott from Well built and comfortable! I bought this for some of my oversize fishing buddies when we go with my boat, but I may just use it myself. 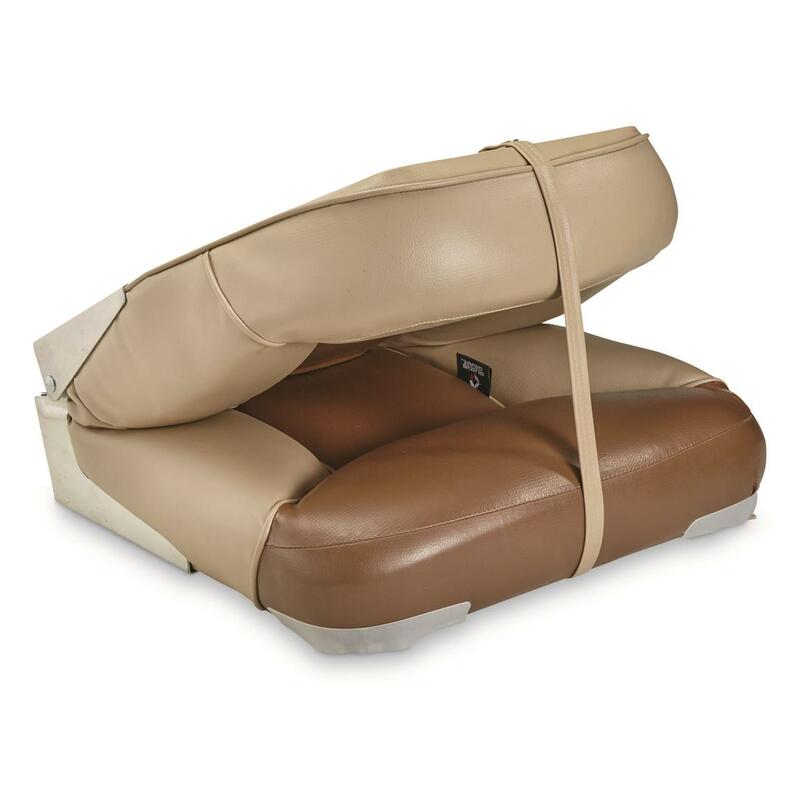 23"h. x 19"w. x 27"d.
Restores the integrity of your original boat.